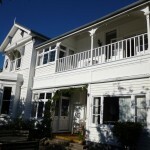 ‘A wonderful stay at an amazing house. It was a very special weekend for us! Thank you‘. 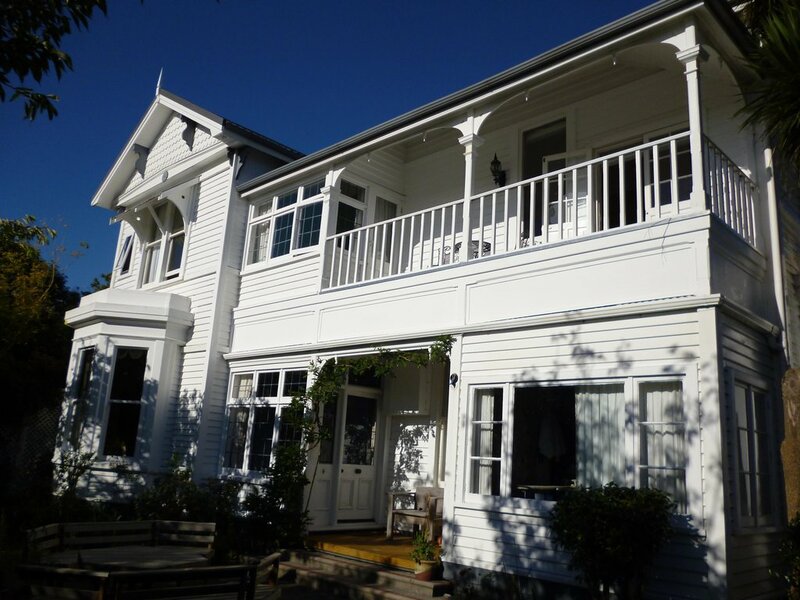 The Glen Almond House is the Victorian house I was expecting to find during all my trip in New Zealand and It had been the only one like that. A beautiful old house with very charming guests and an enchanting view on the sea. Everything was perfect. Anne and Eifion are really taking care of each details. With our to young boys, we nearly felt like at home with family. Anne cooked us some marvelous cake and breakfasts and the kids were so happy to met real hungry caterpillars in the beautiful garden. New Plymouth and its area offer lots of things to see and to do, from swimming and surfing on the sea to trekking on the volcano. All in all, we had a wonderful stay there and would definitively would love to go again if New Zealand was not so far from France. Our family of 6 stayed at the Glen Almond House for 2 nights. 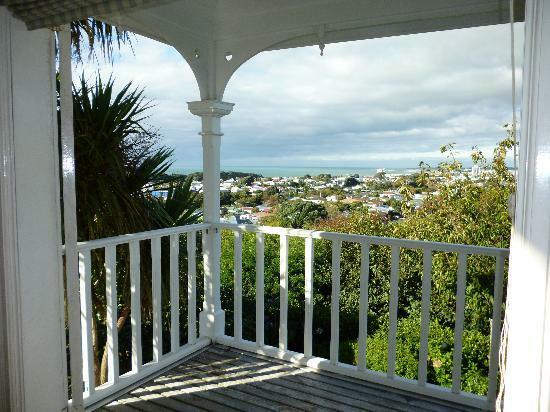 The large upstairs room has a balcony and beautiful view of the ocean. 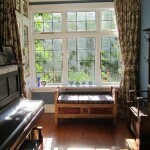 The lower level queen room is also spacious and has some beautiful period features. The twin room was very small but was being used by teenagers so it wasn’t a major concern. Our hosts Eiffion and Anne were friendly and proudly shared with us interesting sights to see in their town as well as the history of their charming house. The breakfasts were plentiful and delicious. There is a lounge area on the main floor that was for our use and we appreciated it very much so that we could spend time together as a family. 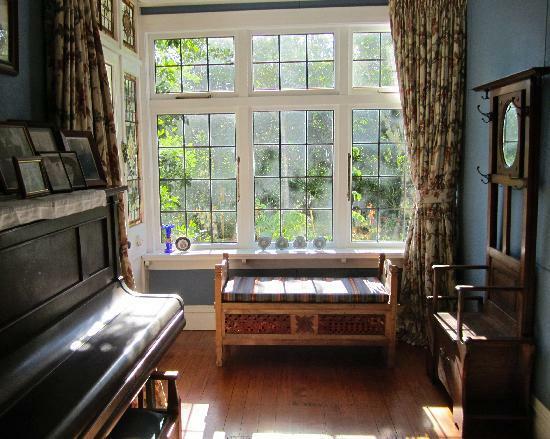 This is very much a family home that is being used as a B&B which adds to the ambiance. Removing our shoes upon entering the house is second nature as we have been living in Japan for several years. Thank you for the lovely stay and introducing us to some of the things that make New Plymouth special! We stayed for one night with Anne and Eifion who were great hosts. They gave us valuable information about where to visit for the best views of the sunset, Mt Taranaki, the park and footbridge. It was great to enjoy a long chat and glasses of wine with Eifion by the log fire. The town was a short walk away (about 15 minutes) so there was no need to drive in, while being away from the main road so it was quiet. There was plenty of off street parking space. Unfortunately the heating was being upgraded while we were there so the upstairs room wasn’t available. 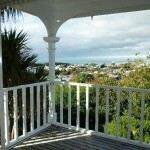 It is significantly better than the downstairs room as it is very large and has wonderful views from it’s own balcony. Our downstairs room was OK, with a private bathroom and separate toilet but not so special as the upstairs one. It was warm and comfortable though. Payment accepted by Internet banking, EFTPOS, MasterCard, Visa (not AMEX). 25% deposit required to confirm booking. From the New Plymouth CBD follow SH45 towards Oakura, along Devon Street West (1km), turn left at Belt road, up the hill, 50m turn right, Glen Almond Street.